No. 10 in the series of 48, illustrating episode 23, part 2, of Tales of Ise. 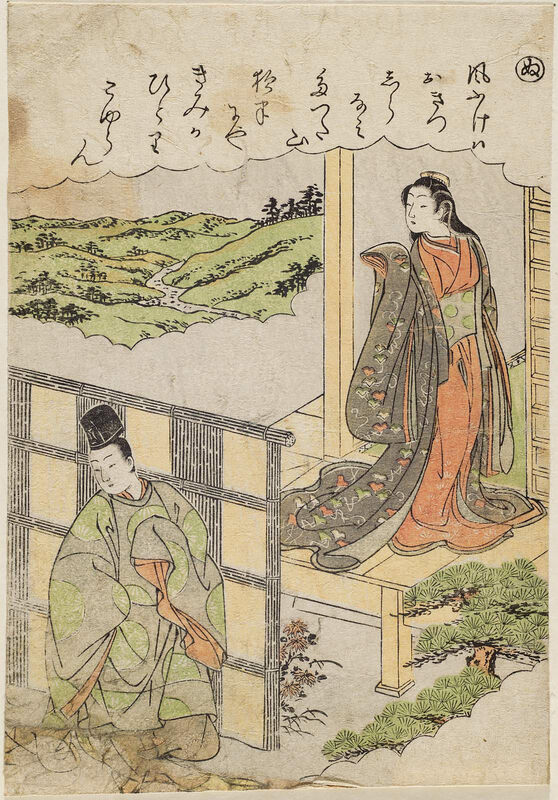 The series was apparently published in the form of two orihon albums, the first volume (24 designs on 12 aiban sheets) in about 1770, the second volume in about 1772-73. The complete set, in two volumes: 2006.1795.